As seen in THE LEGEND OF HELL'S GATE: AN AMERICAN CONSPIRACY, a film by by Tanner Beard. Surrounded by whisky-fueled outlaws and a treacherous wilderness, how is one to survive? Based on real events, this Texas based tale uncovers the mystery of the events surrounding the legendary Hell's Gate, a cliff formation that rises out of Possum Kingdom Lake in Texas. When a curious errand boy catches wind of one of America's most infamous crimes, he falls in with two desperate men on the wrong side of the law. 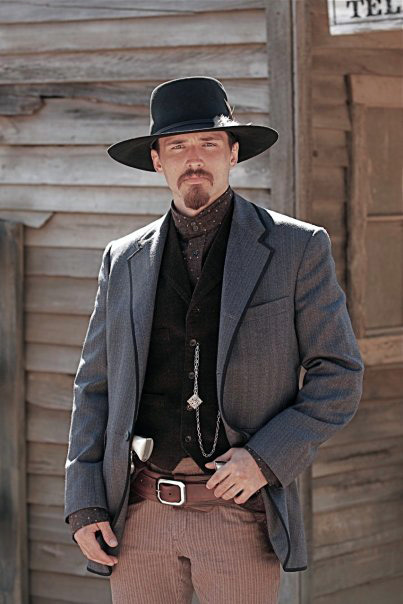 Crossing paths with some of the West's most notorious figures, these three outlaws fight for their lives in the pursuit of fame and riches. Few are to be trusted, as their interwoven stories prove that everyone has a hidden agenda, and by no means is anyone innocent. 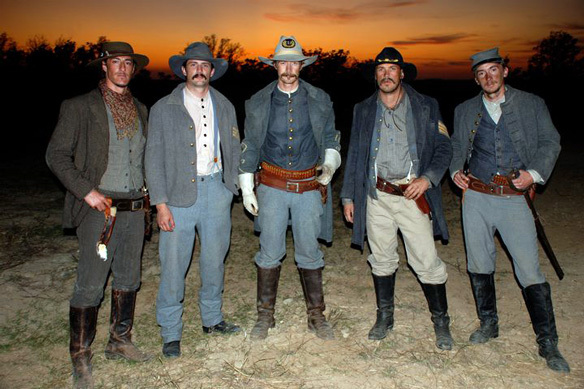 Fueled by a talented ensemble cast THE LEGEND OF HELL'S GATE blends legend and history into a Western spectacle that recounts the treacherous existence in post Civil War Texas. 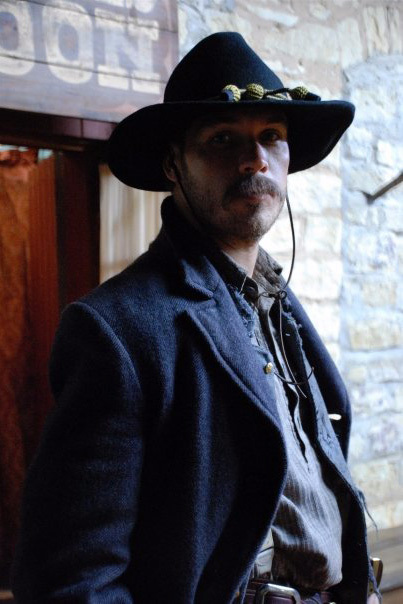 Eric Balfour as Will Edwards in THE LEGEND OF HELL'S GATE: AN AMERICAN CONSPIRACY, a film by by Tanner Beard. 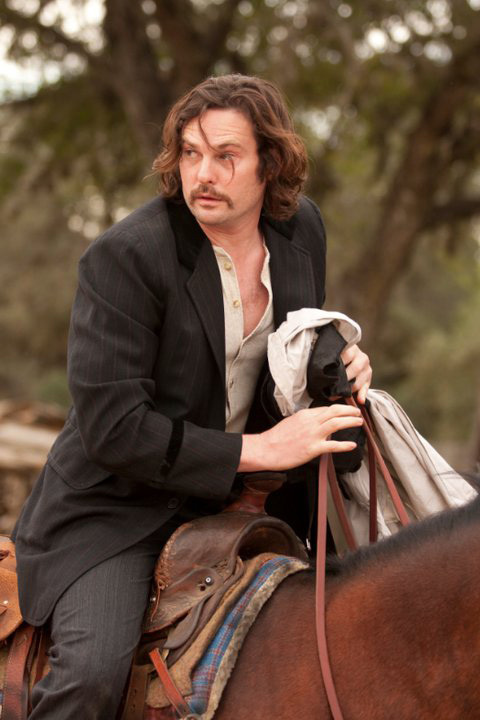 Henry Thomas as John St. Helens in THE LEGEND OF HELL'S GATE: AN AMERICAN CONSPIRACY, a film by by Tanner Beard. James Lafferty (Eigson Howard) and Robert Buckley (Bacas Mitchell) in THE LEGEND OF HELL'S GATE: AN AMERICAN CONSPIRACY, a film by by Tanner Beard. Behind the scenes look at James McKinnon in THE LEGEND OF HELL'S GATE: AN AMERICAN CONSPIRACY, a film by by Tanner Beard. Kevin Alajandro (August Edwards) in THE LEGEND OF HELL'S GATE: AN AMERICAN CONSPIRACY, a film by by Tanner Beard. 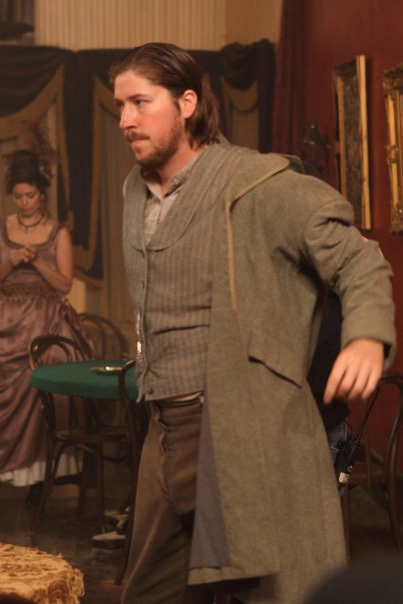 Russell Cummings as Baron Shannon in THE LEGEND OF HELL'S GATE: AN AMERICAN CONSPIRACY, a film by by Tanner Beard.